En español | Think "American beer" means a handful of predictable, mass-produced brews? Not anymore. More than 3,000 breweries now dot the United States, with nearly 99 percent of them small, independent operations. The craft-brew revolution has gathered a mighty head of frothy foam, as these 9 top beer destinations prove. This Pacific Coast city with 70-plus brewers is the epicenter of a booming, countywide craft scene. Stone Brewing, two decades old, not only has become one of the country's largest craft producers — with a suitably vast facility that includes a restaurant and bar — but also its bold brews have scored major international awards. There are plenty of small newcomers, as well. ChuckAlek updates old and historic beer styles, Half Door brews and pours in a vintage two-story house, and sour and fruit-flavored specialist Toolbox operates on a State Highway 78 corridor with so many new brewers it's now nicknamed the Hops Highway. Since the 1980s, when nary a brewery was left in this once-important center of beer production, the Windy City's suds scene has roared back to life. The city's nano-, micro- and medium-sized brewers now number in the dozens, with new ones opening every year. 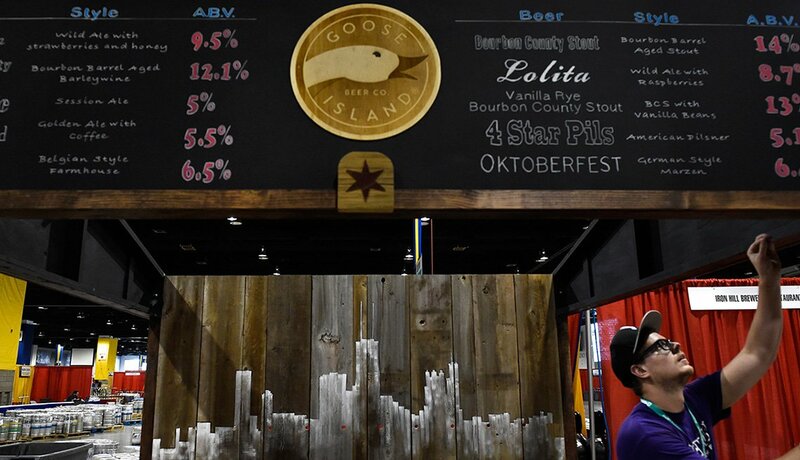 Goose Island led the charge — don't miss its Bourbon County Stout — but keep an eye out at the city's many pubs for other Chicago-brewed treats, such as Begyle's fruity blond ale and Revolution's dark and rich Eugene Porter, as well as top-quality regional offerings like Alpha King, the hoppy pale ale from Indiana's 3 Floyds Brewing. 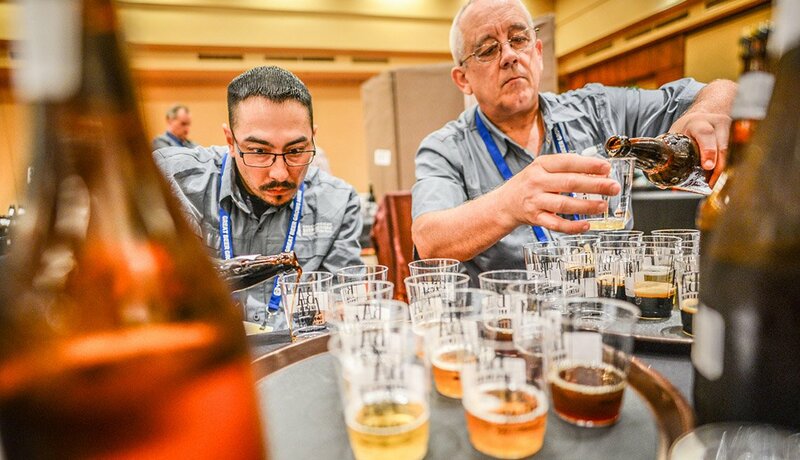 Take one convention center, fill it with reps from 750 breweries serving 3,800 beers to 60,000 attendees, and you have a big reason — the Great American Beer Festival — that Denver is a top destination for suds lovers. But enjoying beer is a year-round activity in the Mile High City, thanks to dozens of local craft brewers and some terrific taprooms and beer bars. 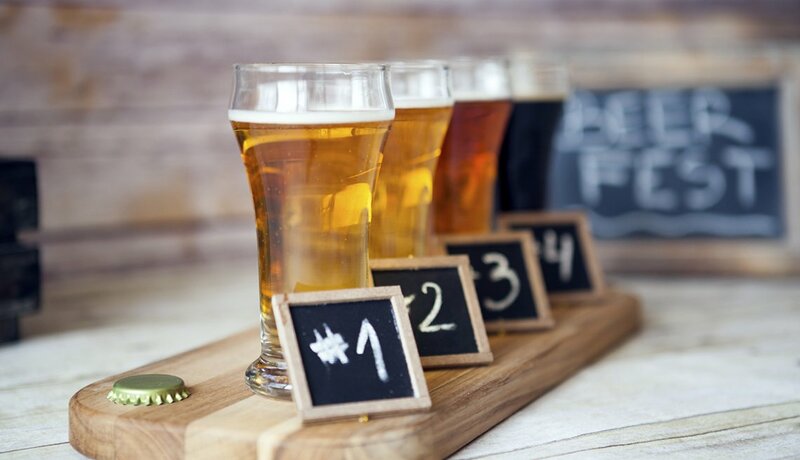 For the latter, check out the Falling Rock Tap House, for example, where classic pub grub like fried-to-order, beer-battered mushrooms accompany the rotating selection of more than 75 brews on tap and 130 bottled beers. 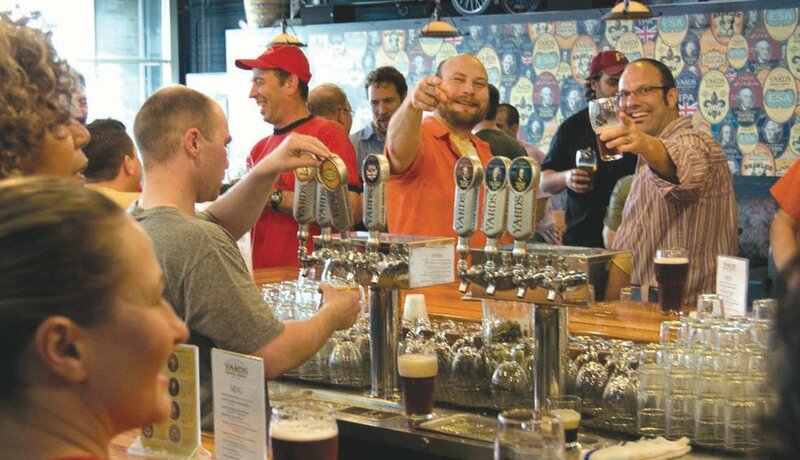 GR is the beer hub of a region — southwest Michigan — that's become a hotbed of great brewing. The big name here is Founders, makers of "complex, in-your-face ales" and owners of a vast taproom modeled after a German beer hall, but the flock of micro-brewers includes Belgian-style specialist Brewery Vivant, housed in a refurbished vintage funeral home. At popular, beer-centric watering holes like Logan's Alley (23 taps, 200-plus bottled beers) and HopCat (now expanding to other cities), you also stand a good chance of sampling terrific regional beers such as Bell's Two Hearted Ale from Kalamazoo and the British-style brews from Arcadia Ales. With 91 breweries in its metro area, no wonder the Rose City is also called Beervana. 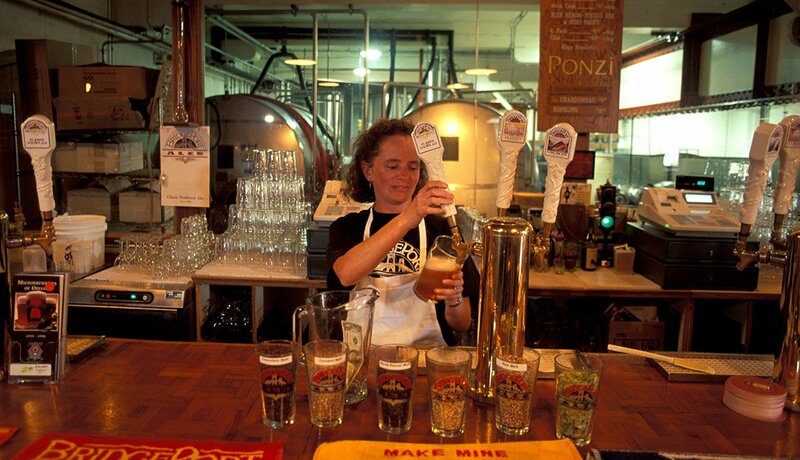 The modern beer renaissance began early here, with BridgePort and Widmer Brothers debuting in 1984 and McMenamins opening the state's first brewpub in 1985. All three are still in business, now joined by the likes of Gigantic Brewing — producer of a year-round IPA and a host of ever-changing delights — and European-style specialist Occidental Brewing. And it's not just all the brewers. The city boasts a full slate of beer events and a flock of taprooms. The result: An astonishing 43.5 percent of all beer sold here is craft. Philly's status as a great beer town rests firmly on its long tradition of great neighborhood beer bars. Among them, Monk's Cafe achieved near-legendary status for introducing Belgian ales to America (and for its Belgian fare, such as mussels with pommes frites), while Standard Tap serves only local draft beers, including cask-conditioned ales pumped by hand. Philly Beer Week features hundreds of festivals, dinners, tours, pub crawls, tastings and meet-the-brewer nights. And for a literal taste of history, head to Yards Brewing Company's tap room for a quaff of Poor Richard's Tavern Spruce, based on Ben Franklin's original recipe. What? You thought they drank only coffee in the Emerald City? In a state with more craft breweries than any other except California, Seattle and environs claim about 50. 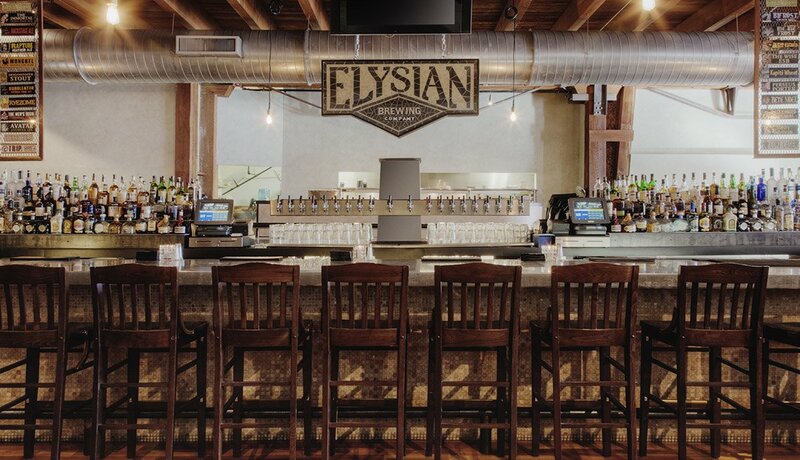 Elysian is among the larger operations, and its original Capitol Hill location — a 220-seat beer hall and restaurant in a vintage 1919 building — makes a fine spot to sip one of 16 drafts on tap. 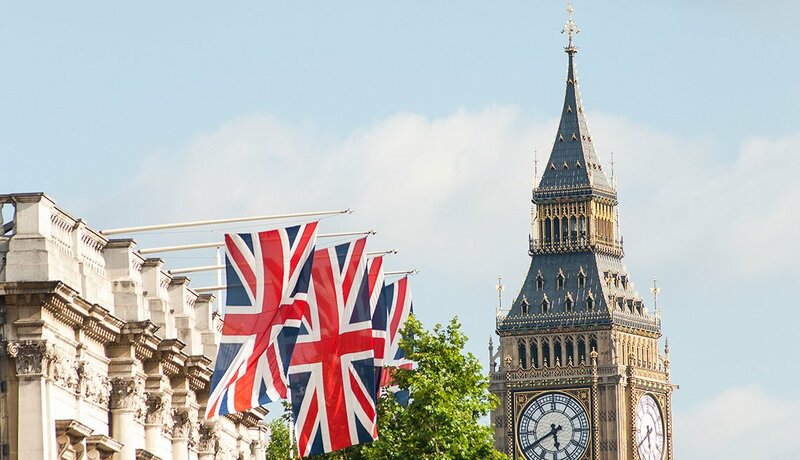 But you can also dive plenty deep here into smaller producers, such as Machine House (English-style cask ales), Ghostfish (gluten-free beers) and Two Beers Brewing, which uses local ingredients (including Washington's famous hops) whenever possible. The dramatic and ongoing revival of this Lake Erie burg includes its beer scene, now blossoming after years on the skids. 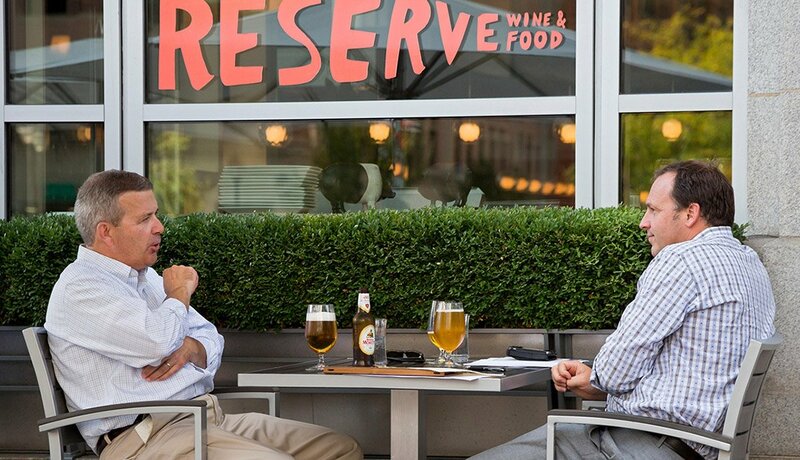 Suds central might well be the resurgent Ohio City neighborhood, across the Cuyahoga River from downtown. Here, you can sip and grab a bite at Great Lakes Brewing's taproom: "Untouchable" federal agent Eliot Ness enjoyed post-Prohibition refreshment at the bar. 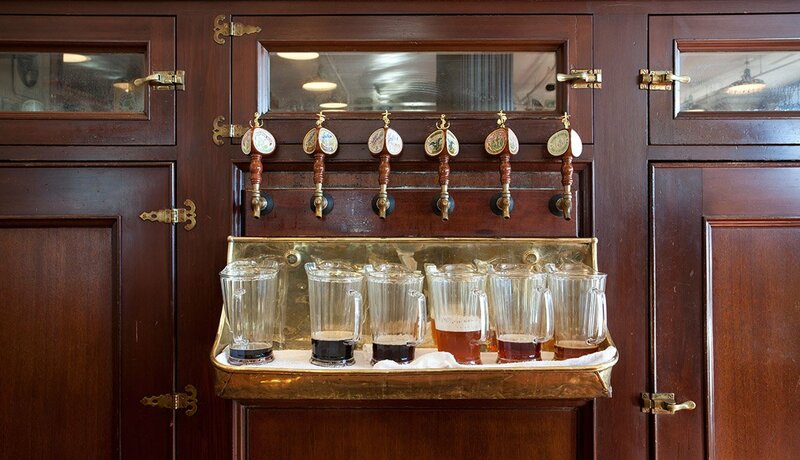 Or choose from the 24 local drafts (including one house-made brew) at Nano Brew Cleveland. Elsewhere, Fat Head's makes and pours everything from golden, award-winning Hop Juju Imperial IPA to Oompa Loompa Chocolate Cream Stout at its original brewpub in suburban North Olmsted. Some say the American craft beer revolution started here in 1965 when Fritz Maytag bought Anchor Brewery and revived Anchor Steam beer. Fifty years on, with Bay Area breweries now numbering nearly 50, beer holds its head high (pun intended) against all the fine wine and creative cocktails. 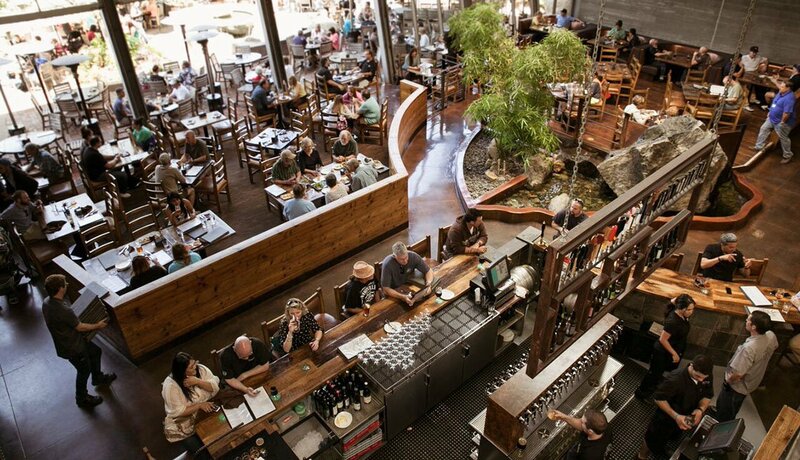 You'll find a raft of brewpubs big and small, with Speakeasy and 21st Amendment among the more popular. And beer-friendly fare has been elevated to new heights at gastropubs such as the Monk's Kettle, where 200 rotating brews, many of them Belgian, are paired with upscale American dishes like stout-marinated steak.